There are three-pronged savings when buildings are equipped with efficient heating, ventilation, and air conditioning (HVAC) systems. And the experts at Bishop Site Service will tell you that it all starts with optimizing both your cooling and heating systems. Not only can you save money and energy, but the life of your equipment can be extended, as well. You can find the ideal heating and cooling systems for your commercial or industrial properties by taking advantage of a no-obligation consultation with Bishop Site Service. We’ll walk you through the various options and then recommend the best system to fit your needs. When considering an ideal HVAC system for your purposes, it can become quickly overwhelming if doing it yourself, by searching online. You will be swamped with lists of ratings and specifications. To make this process less daunting, relying on Bishop Site Service can make any decisions much easier. A word of warning: If you choose to deal directly with HVAC companies, their primary motivation is likely securing your business, but that might not be in your best interest. 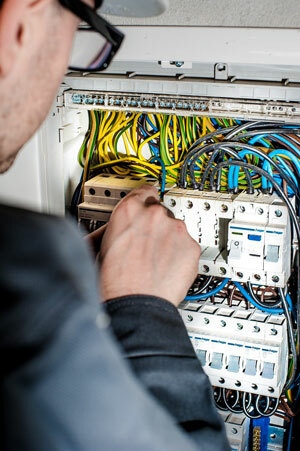 Because Bishop Site Service works with HVAC systems on a daily basis, their experts will have direct knowledge of what equipment may work best for your particular commercial or industrial property. And we believe that may be your best bet as you navigate through the maze of options. Simply speaking, you will be looking for ways to optimize your heating and cooling systems. So whatever system you take advantage of should be set up so that both the heating and cooling mechanisms are not frequently turning on and off. And repairing HVAC components promptly. You may also want to seriously consider installing an energy management system (EMS), as well, including taking advantage of HVAC controls. There are several important benefits to going that route. Off the top, automated controls for HVAC systems can provide comfort and energy savings in all kinds of facilities. EMS can monitor total building loads and turn appropriate equipment on of off. You can save up to 30 percent in energy costs and reduce demand charges, then look forward to a payback of two to four years. Whichever route you decide to take, Bishop Site Service can offer the type of support and guidance necessary to maximize savings and performance. Bishop Site Services is a local electrical contractor servicing Brantford and surrounding area.